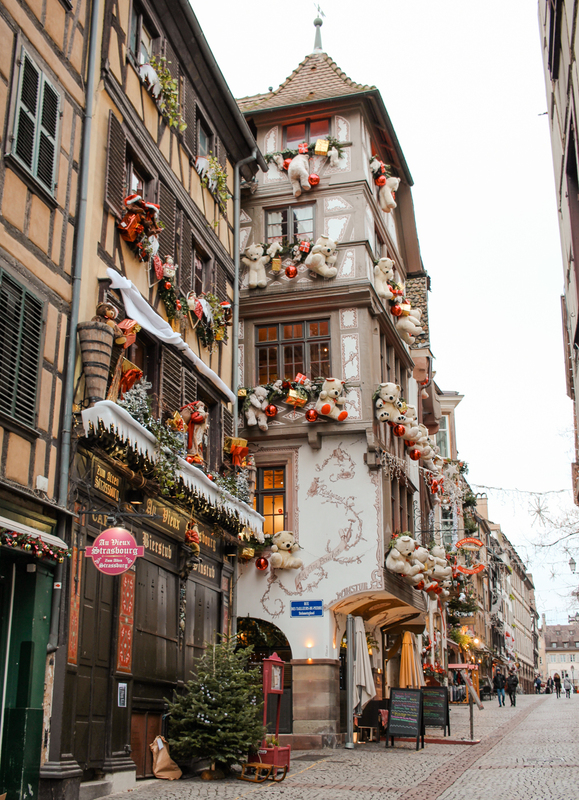 No one does Christmas quite like Strasbourg, France, also known as the Capital of Christmas. 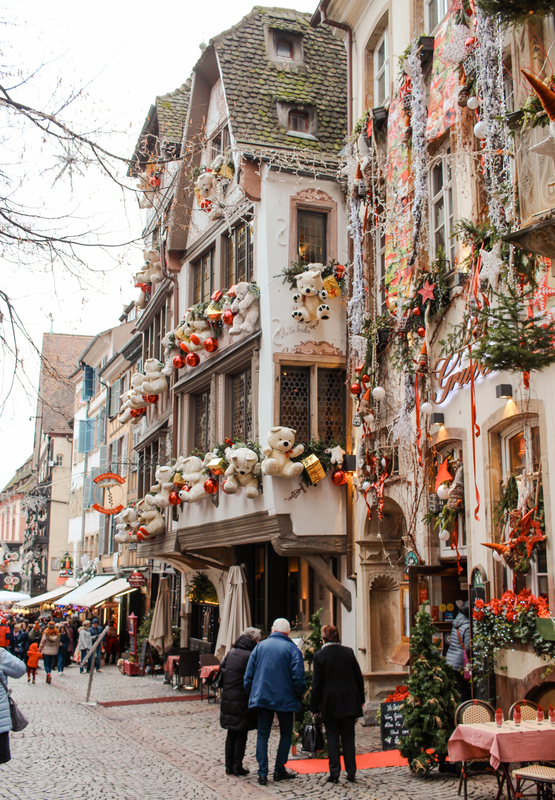 Each street seems more elaborately decorated than the next with lights, tinsel and even teddy bears hanging from buildings. 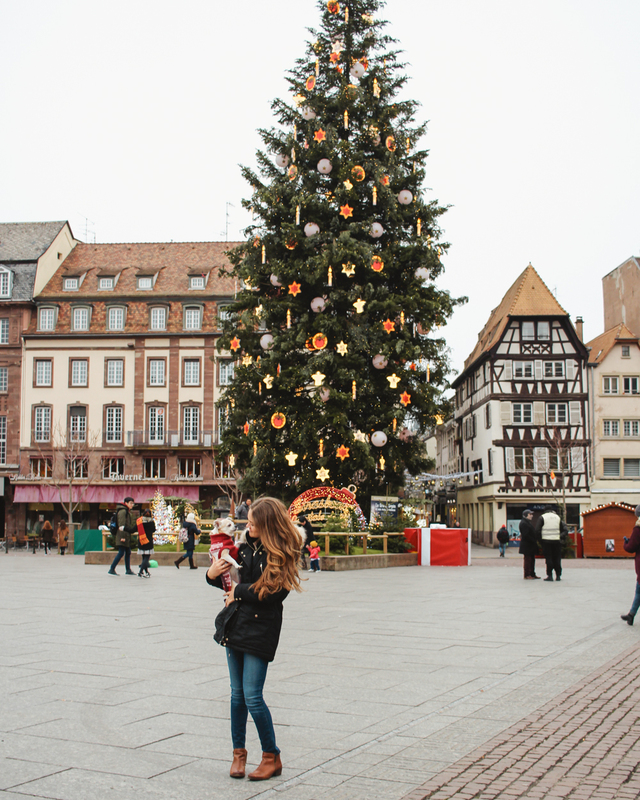 I’ve been to several Christmas markets in Europe, and none really compare to the ones in Strasbourg. 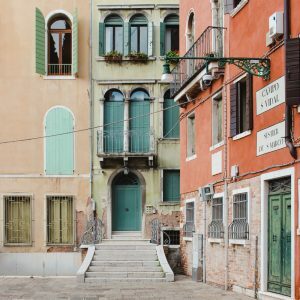 You’ll want to stay as central as possible so you can walk to all the markets. 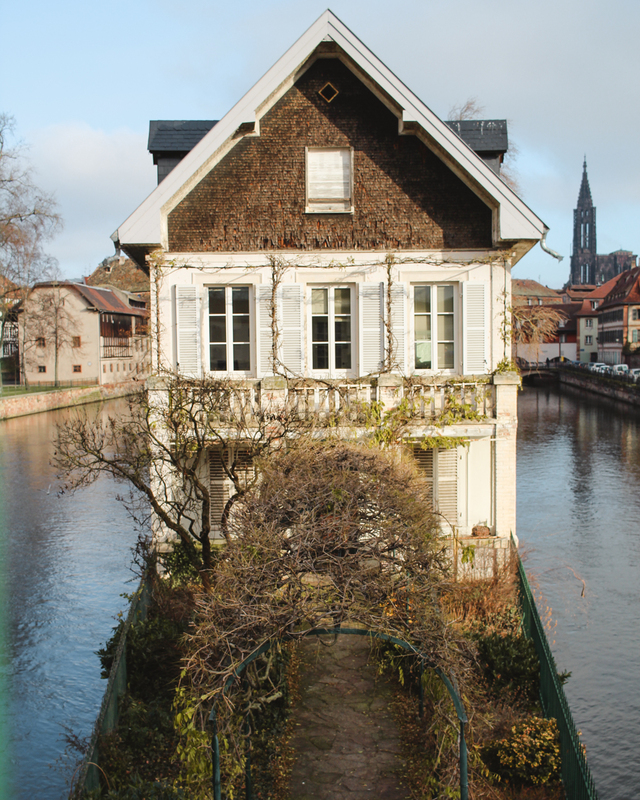 Choose Régent Petite France & Spa for luxury or Hotel Hannong to be close to everything. When you’re traveling around Christmas, it’s nice to stay at a hotel that has homey touches. Prices go up considerably during this time of year (sometimes almost double), so consider Ibis if you’re on a budget. 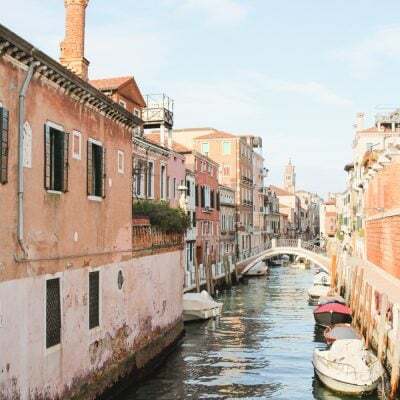 Airbnb also has some great options, but be sure to book as early as possible because rooms will book quickly. 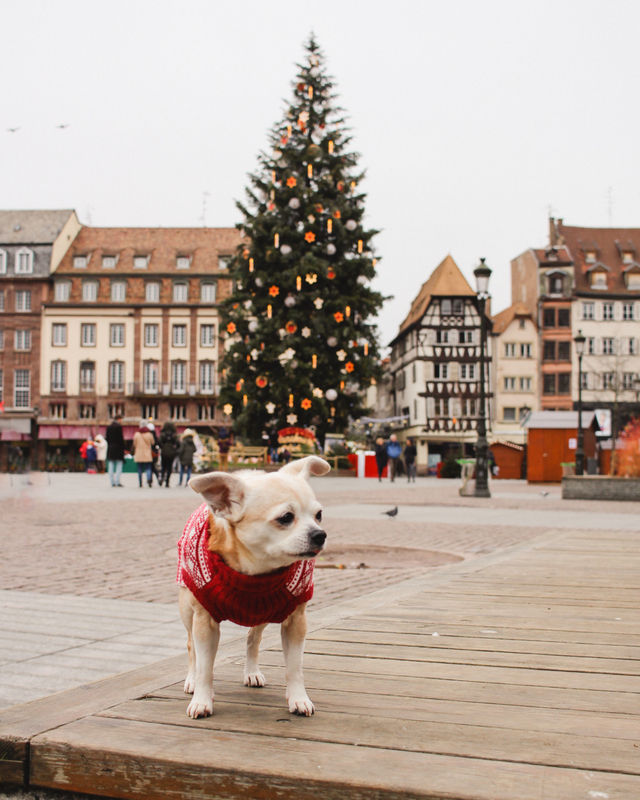 How long should I stay in Strasbourg? 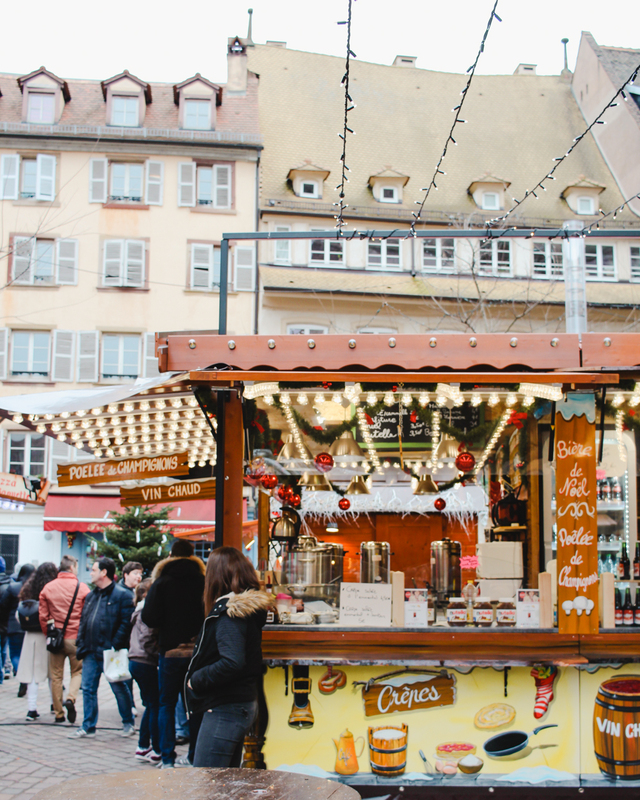 You could soak up all this Christmas goodness in a day or two, but check the days and times the markets are open ahead of time. 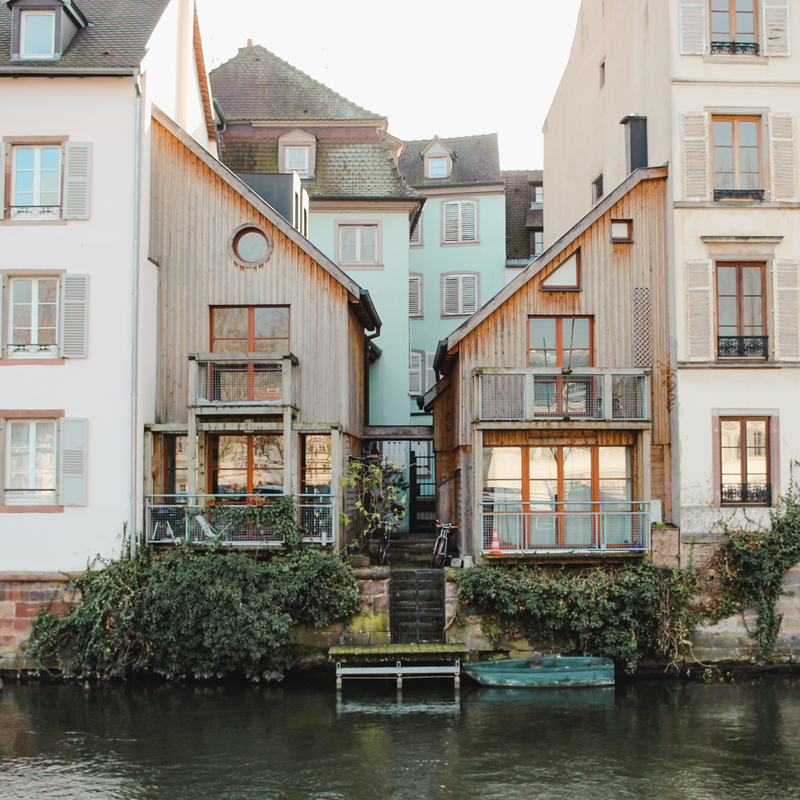 Strasbourg would be the perfect destination to add on to a trip to Germany or Paris. 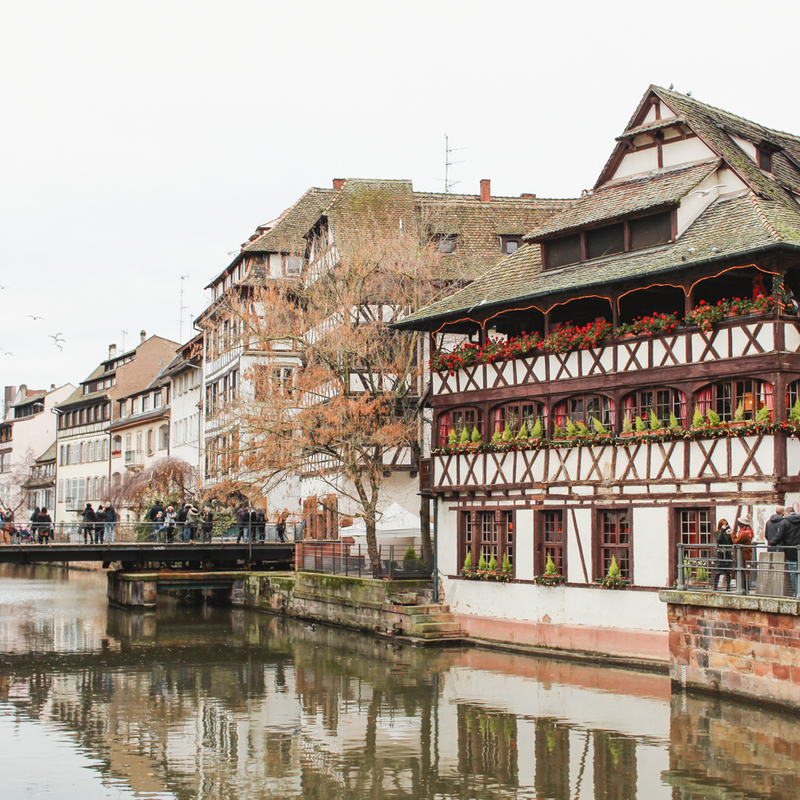 We only had two full days, so we decided to just stay in Strasbourg, but you could easily make a day trip down to Colmar. 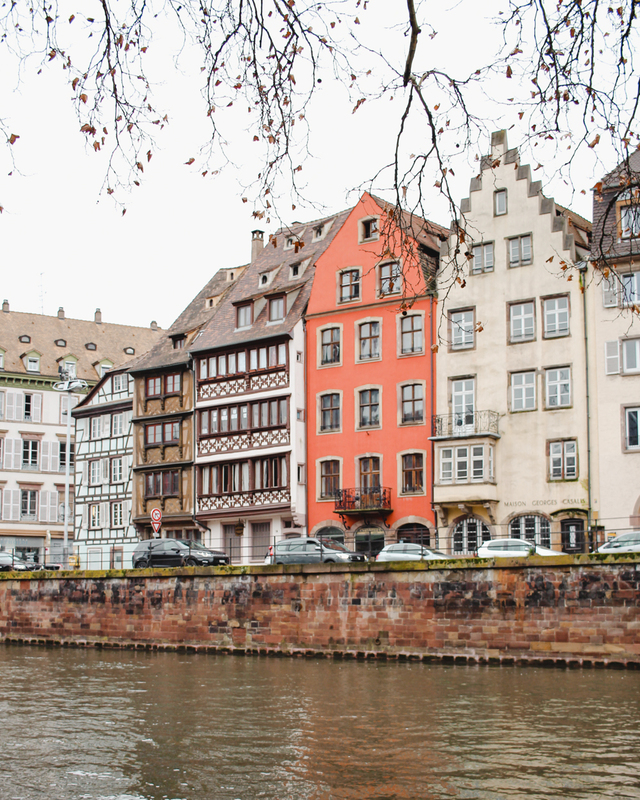 Strasbourg, France is easily accessible by train from major cites in Germany and France. 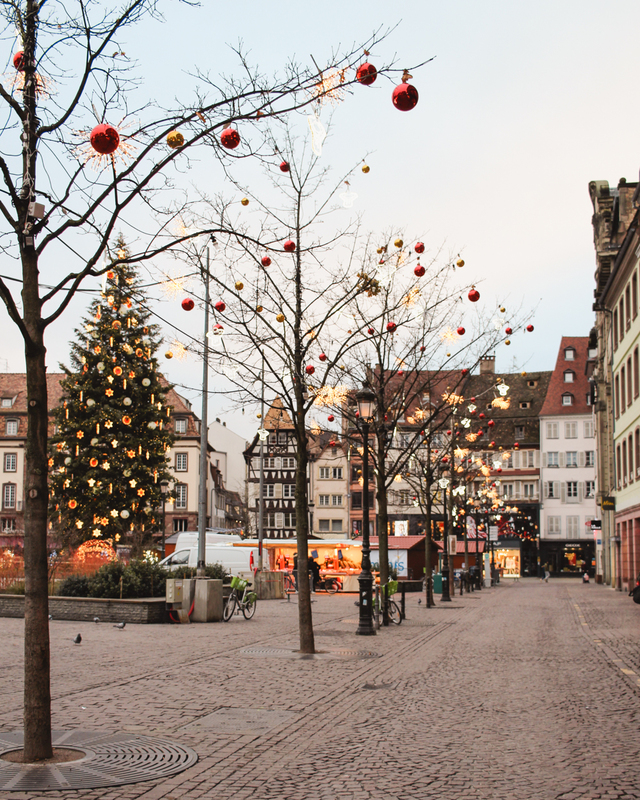 We flew into Stuttgart and took a 90-minute train straight to the city center. 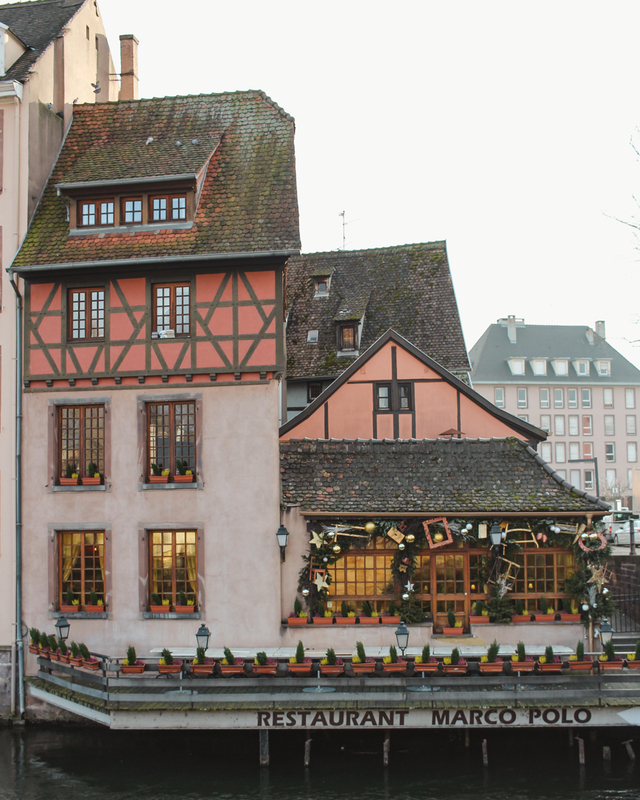 On the way out, we took a two hour train to Gare de l’Est in Paris and flew out from Orly Airport. The trains runs almost every hour or so from Paris (check times and book on SNCF). For flights, I always recommend comparing prices, times, dates and airline carriers on SkyScanner.com. 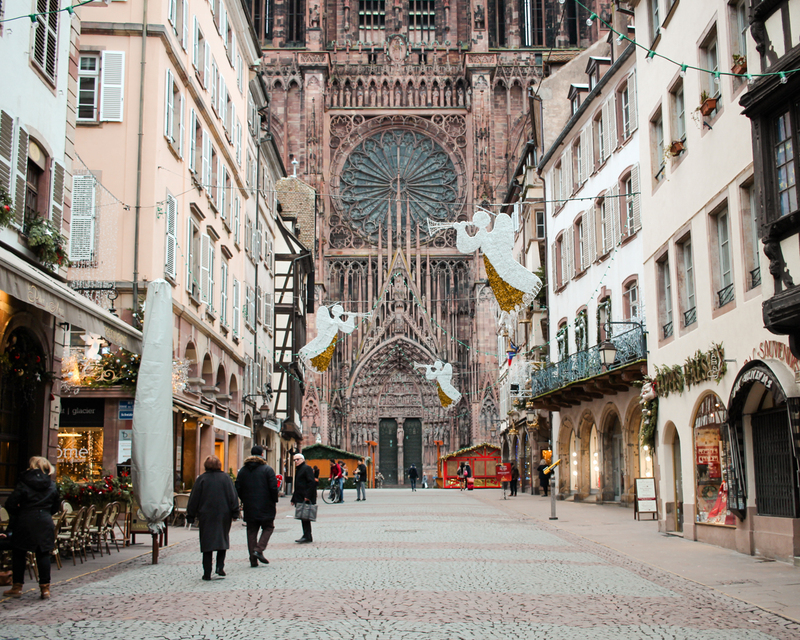 Of course, you can also rent a car from the airport and drive to Strasbourg (I’ve booked all over Europe with rentalcars.com several times). This would make the most sense if you wanted to stop at several places in the region. 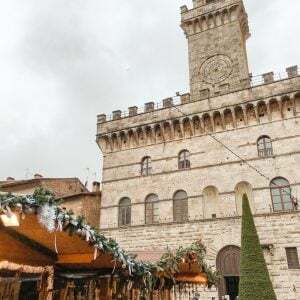 Keep in mind the market itself has more limited hours on Christmas Eve and Christmas Day, but there’s still plenty to do. 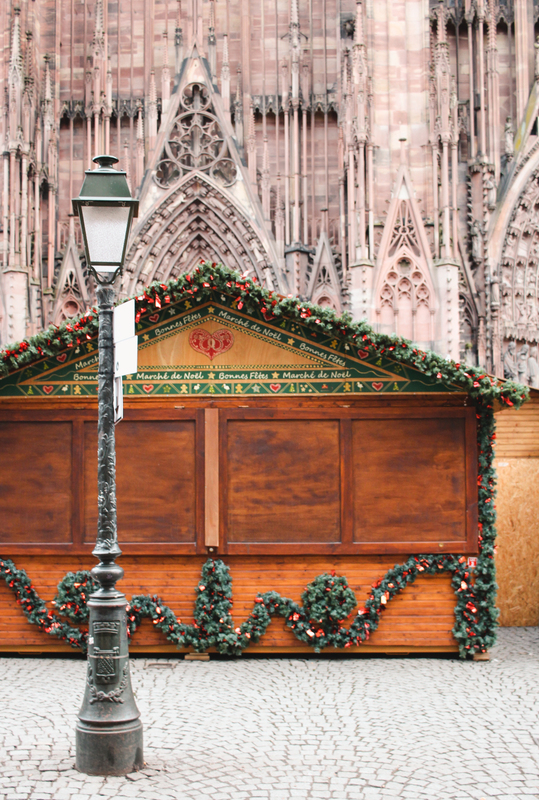 On Christmas Eve you can expect to see a line around the corner at Naegel. 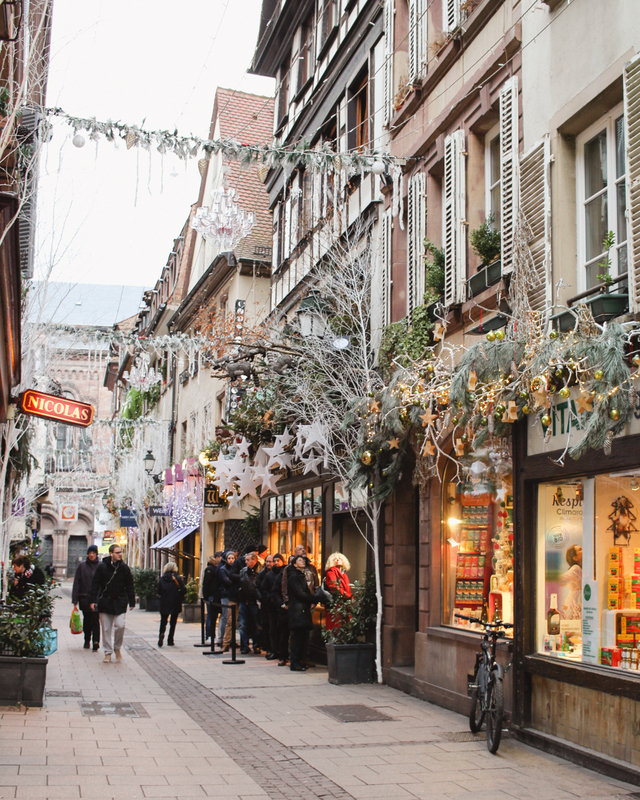 Locals are getting their Bûches de Noël for Christmas day and maybe even some pastries for the morning. We stopped in La Bolée de Cidre to warm up and get a galette and crêpes. 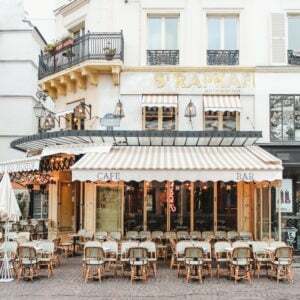 I usually research places to eat ahead of time, save choices in my google maps, and even sometimes make a reservation (I had my heart set on Crêperie Le Moulin du Diable, but they were closed for the holiday). What I ended up loving about popping into La Bolée de Cidre was that we just walked by, saw the sign for galettes and walked in. 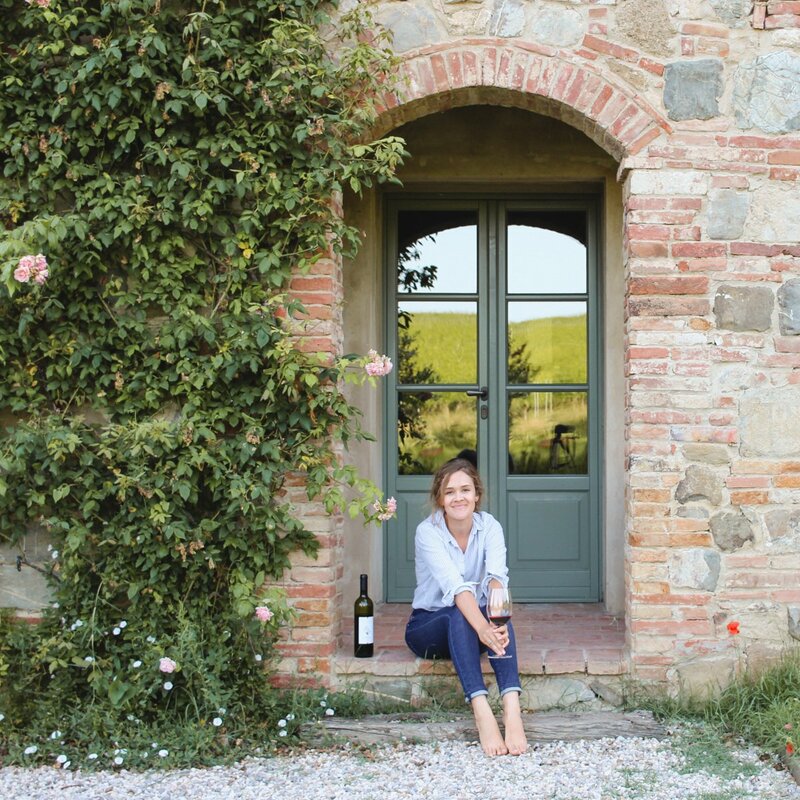 I think Instagram and TripAdvisor have certainly changed the travel industry (that’s a whole different post), but I think it’s important to have organic experiences and not overthink it all too much. 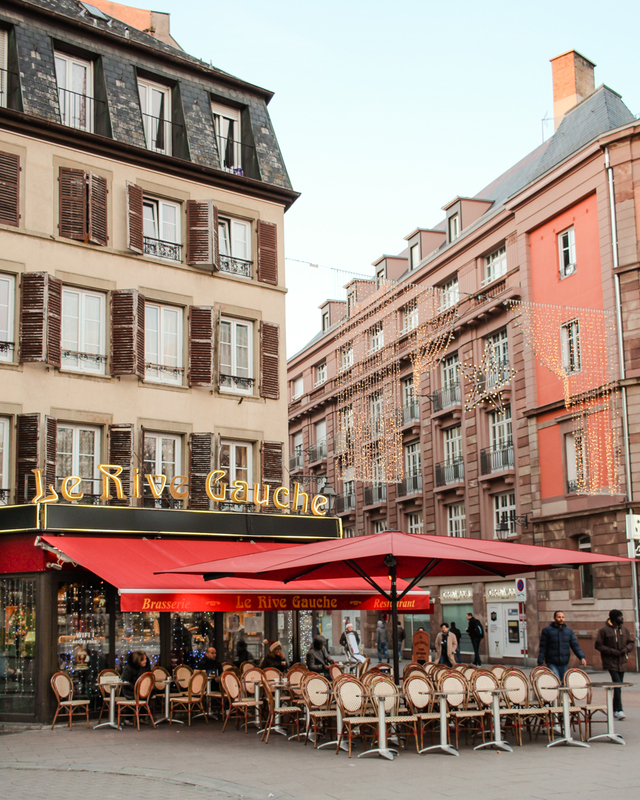 The atmosphere was cozy, the galette was delicious, the price was decent and the service was friendly. What more can you ask for? 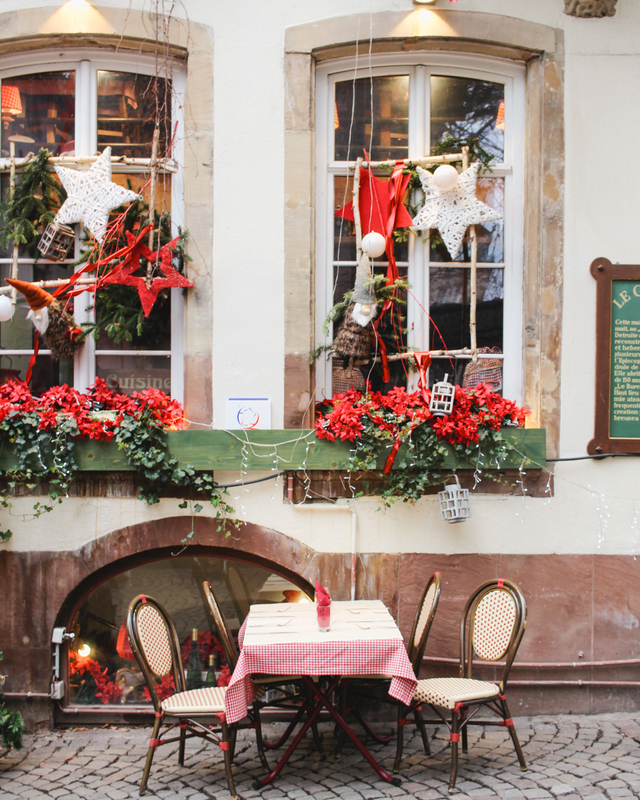 PUR was also a cute spot to drop in for a coffee and pastry in the morning. 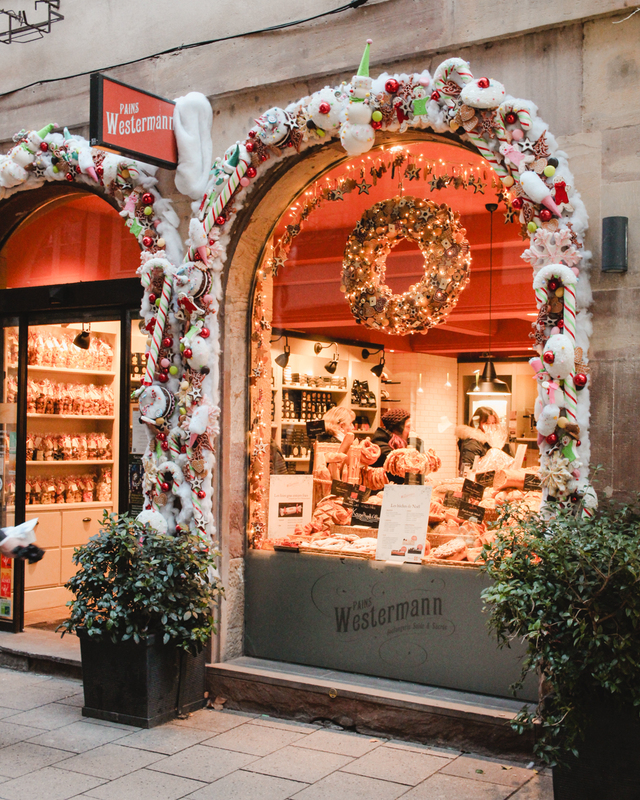 It seems like every inch of the city is decorated and there’s no such thing as, “Going overboard on the decorations.” Even the butcher shop adds to the holiday cheer. 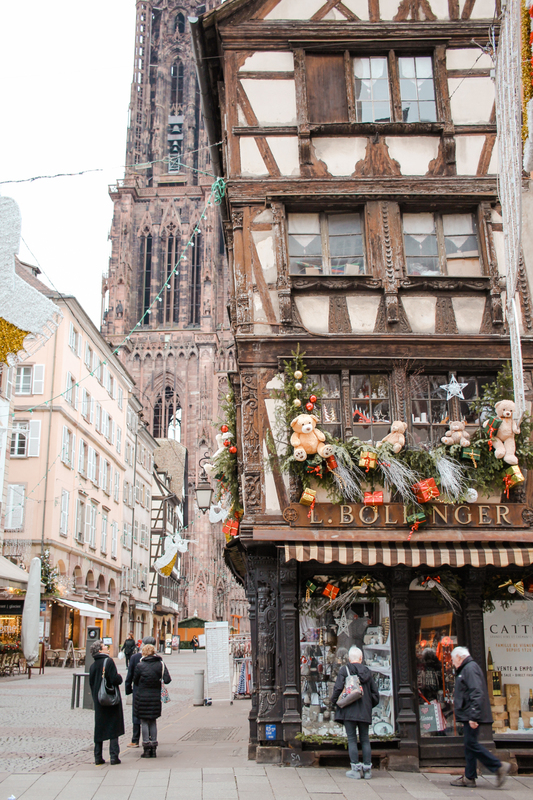 You should make your way over to the Protection des Mineurs building in Strasbourg, located here. I’ve seen photos of it in spring and you can barely see the walkway through the blooming wisteria. 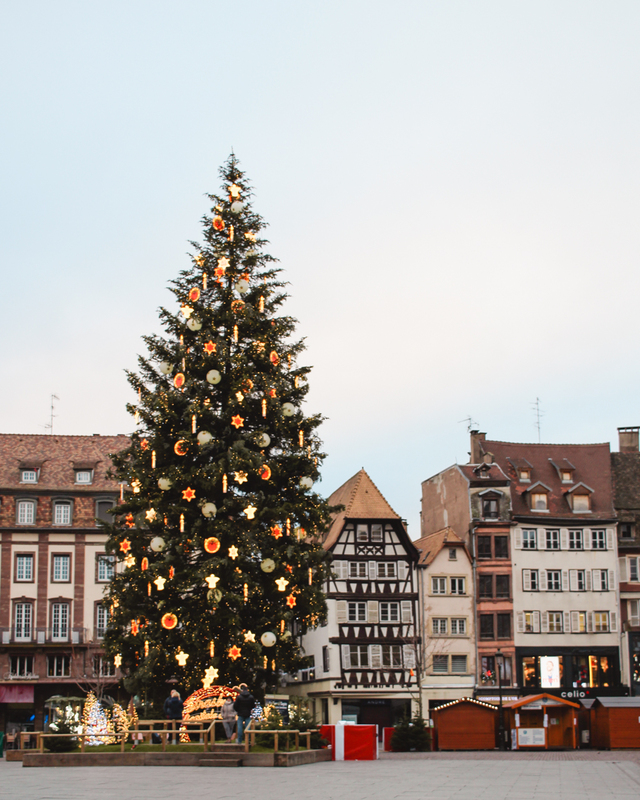 Back in town, you can’t miss the huge Christmas tree in the middle of Kléber Square. While I knew we’d be stopping in Paris for a few hours on our way home, I still went in the Pierre Hermé shop in Galeries Lafayette. 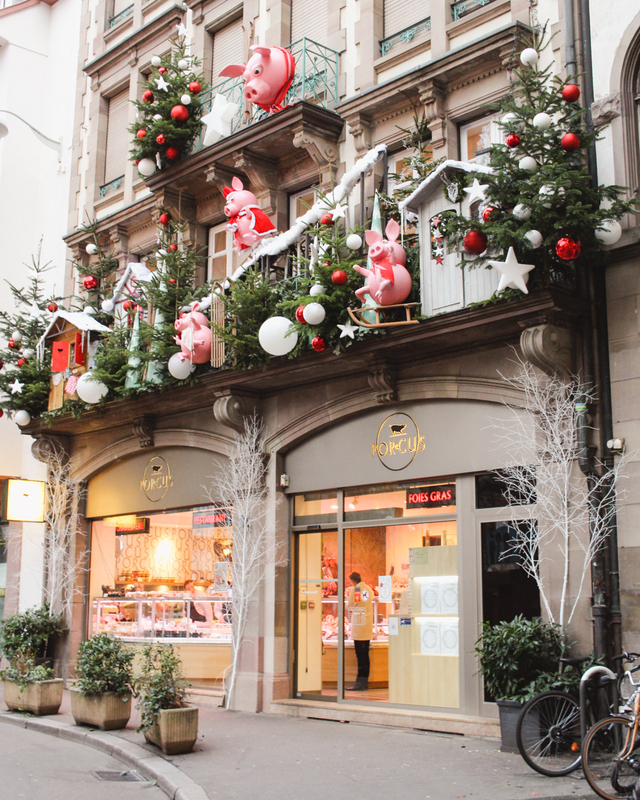 I can’t go a day in France without the mandatory macaron and Pierre Hermé makes some of the best. 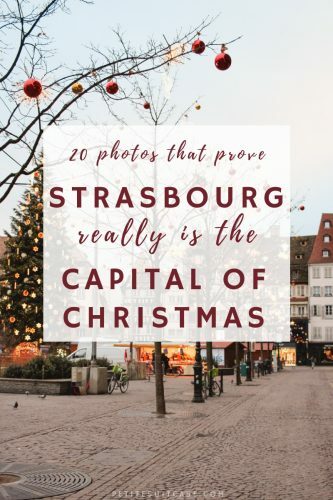 Ok, so by now you’re convinced Strasbourg is the Capital of Christmas. You’re opening other tabs to research trains, planes and automobiles to get you there. 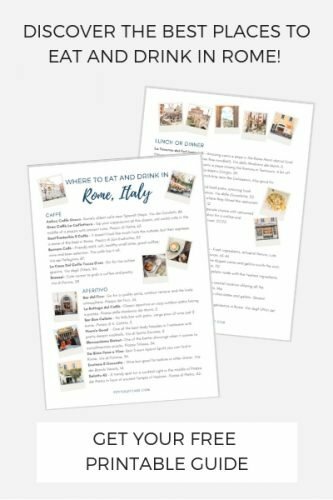 I’ve got a few more tips for what to bring! 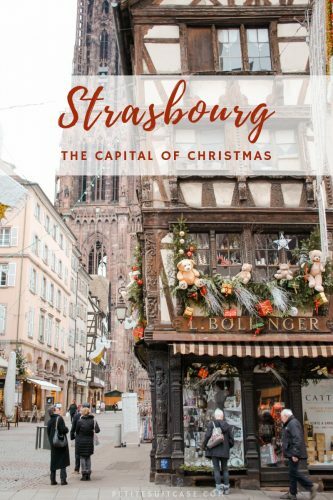 What to pack for Christmas in Strasbourg? I was first introduced to these hand warmers from a friend who is into extreme winter sports. Christmas Marketing is my winter sport and these put whole new spin on warming up your hands in your pockets. If there’s rain in the forecast, I swear by these Sam Edelman lightweight rainboots for just $55 (also available on Amazon). I’ve brought them on every winter trip (except that time we went to Malta in February). I usually wear them with plush socks for extra warmth. Put it all in hard luggage for a longer trip or a leather weekend tote. Such an amazing place! I loved your pics!